Portadown-based Thompson Aero Seating is the beneficiary of a substantial order for new Business Class seats by Aer Lingus. Richard Tams, currently Head of UK & Ireland Sales and Marketing at British Airways, is to move East as Executive Vice President China and the Philippines for the airline. The new role will include representing BA and parent company IAG in China. The Royal Aeronautical Society’s annual International Flight Crew Training Conference takes place at the organisation's Hyde Park Corner headquarters in London, 24/25 September. Featured is an examination of the work undertaken by the International Pilot Training Consortium (IPTC) which will seek to determine what further effort is required and under what auspices it should be conducted. Airbus is to showcase an A350 XWB test aircraft at the German Air Show (20-25 May) at Berlin ExpoCenter Airport, in practical terms part of the Schönefeld/Brandenburg airport site. Also on display will be an Airbus A400M military transport. A feature of the show is some 60 conferences, workshops and a lecture programme. With a whole day conference planned at The Guildhall, London, on 26 June, Runways UK have fitted in an afternoon session on Monday 2 June to explore the implications of the runway schemes under consideration by the Airports Commission for the property sector. The late June event (see BTN 12 May) concentres of the property aspects of the schemes highlighted by the Airports Commission, whilst this new one will look at surface connections and transport. Please note that Monday 26 May is a Bank Holiday in England, Scotland, Wales and Northern Ireland. Business Travel News will be published as normal. The European Health Insurance Card (EHIC) will be 10 years old in June but confusion still reigns over what it offers. Last week was the closing date for Heathrow and Gatwick airports to submit their revised ideas to the Airports Commission on how they see their future runway needs. BTN’s ON TOUR this week focuses on Heathrow and will follow next week with Gatwick. 'La Première' has been announced by Air France, the next stage of the airline’s major project to move its long haul service upmarket, part of the new ‘Best and Beyond’ campaign. The new suite will be progressively rolled out in 19 of the airline’s Boeing 777-300 fleet from September 2014. London City Airport has been literally “Bloomberged”. The financial information giant chose the world’s only specialised business airport to launch what it calls “The Bloomberg Hub”. Such is the importance that the New York-based operation attaches to this new concept Dan Doctoroff, President & CEO of Bloomberg, was on hand for the launch. Now open is DoubleTree by Hilton Hotel & Residences Dubai – Al Barsha. It is located within a short walking distance of Mall of The Emirates shopping precinct. Aer Lingus Regional, operated by Stobart Air (formerly Aer Arann), has announced a 35% increase in passenger numbers compared to the same period last year, 112,435 passengers for 2014. Totals are up 14% to date in 2014 compared to this time last year. The airline operates out of Dublin Airport serving 15 destinations mainly in the United Kingdom and regional points in Ireland. New short term passenger drop off or pick up arrangements are to be introduced by Liverpool Airport. In simple terms this will continue to be free but with a claimed 10-minute walk, or for £2 close to the terminal building (recommended with luggage). Technology is reaching into the hotel industry with Marriott International expanding mobile check-in and checkout globally for members of Marriott Rewards who can simply check-in and checkout using the Marriott Mobile app on their smartphone. Singapore Airlines plans to launch a Premium Economy service in the second half of 2015, after years of resisting the move due to concerns it would reduce the appeal of its Business Class seats. The airline, facing growing competition from Middle Eastern carriers and more resistance by companies to allow Business Class travel, said it would initially roll the service out on its medium and long haul routes. 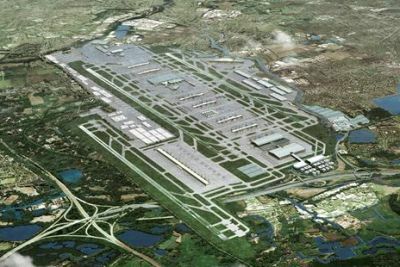 Heathrow Airport Ltd has submitted to the Airports Commission its improved plan to expand the UK’s hub airport, and with it an impressive public document detailing its ideas. The Commission is expected to make its recommendations in July 2015, the final decision (or non-decision) in the hands of the then current Prime Minister. British Airways has powered up its newest flight simulator, taking the number used by the airline to train its pilots to 18 – the highest ever. It was not always thus. The first dedicated aviation auction for the General Aviation and Business Jet market v market in the UK will be staged at Bicester Heritage (formerly RAF Bicester) on 5 June 2014. The event is organised by MIU Events, in association with SIA Group. Qatar Airways has introduced a premium class only daily service ‘Business One’ between Doha and Heathrow. The new daily service flies from Doha to Heathrow Terminal 4 using an Airbus A319 configured with a single aisle, 2+2 seating configuration, offering 40 premium Business Class seats. The British Airways A318 operation from London City to New York Kennedy carries just 32 passengers, a smaller aircraft specially licensed to operate out of the short dockland runway. British Airways owner IAG has narrowed its losses for the first quarter of the year, helped by an improved performance from its Spanish airline, Iberia. Its operating deficit fell to €150m compared with a €589m loss a year ago. Travellers heading for Kenya are urged to check with their travel insurer following a UK Foreign Office (FCO) terrorism caution. The US is amongst other countries that have also issued warnings. Claimed to be the world’s largest luggage brand, Samsonite has introduced ‘Lite-Locked’ the latest evolution of its pioneering three-point locking system. easyJet, now the UK’s largest airline in terms of passenger numbers, says that it flew 12m business travellers in the 12 months to end of March 2014. Around 20% of its total 62m current annual passengers are travelling with the airline for commercial reasons. Following the success of the Grange Tower event at the start of the year (see BTN 28 January) Runways UK is to run a second in its series of topic-specific events within the airport capacity debate. This one-day conference at The Guildhall, London, on 26 June explores the implications of the runway schemes under consideration by the Airports Commission for the property sector. It sounds fascinating, and is being launched at least six months ahead of its project introduction. Etihad Airways has announced The Residence – the world’s first three-room private luxury suite in the sky, exclusively fitted on the Etihad A380. The Residence will feature a living room, double bedroom, separate en-suite shower room, and for the first time in the airline industry, a dedicated, trained Butler.